WHILE the pitiful circumstances of some children’s lives in Northern Ireland are laid bare in today’s report, there is also a very strong focus on serious concerns raised in the CMR reports about how professionals handled the children’s cases. The nature of today’s report means that the broad themes of these extreme examples of child abuse and neglect can be identified more readily than in individual CMR reports – and also the learning which has come from them. A recurring factor was the prevalence of neglect in the lives of the afflicted children and how this often led to them slipping through the child protection safety net. Another link between a number of cases was the ease with which children living in troubled homes could become “invisible” to social care, health and educational professionals. As a result, the report authors highlight the need for a particular focus on communicating directly with the young people. The continued prevalence of silos showed up, too, with children who fell between the cracks of a variety of services emerging as a vulnerability within the system. And a system which often faced unreasonable pressures featured across several cases, with staff overwhelmed by caseloads, struggling with reporting requirements and training needs. In some cases where a parent was known to adult services for issues relating to substance use or mental health issues, there was no consideration at all of the wider family environment or the role of the adult as a parent. Lack of early intervention was particularly apparent in cases involving adolescents, many of whom subsequently had long periods of involvement with social services as well as a range of other agencies. GPs tended to supply very limited information, often due to concerns about patient confidentiality. The report authors say that agencies were sometimes particularly poor at addressing the impact of chronic neglect on children and intervening at an early stage to prevent problems from becoming entrenched. In a case involving the suicide of an adolescent, the CMR report noted how early investigation of concerns in relation to neglect could have resulted in different outcomes, highlighting how a number of opportunities for multi-agency working and the provision of a support package of services were missed. Physical neglect and emotional neglect of children were substantial issues in most if not all of the CMRs but the overview report states that it was evident in the Northern Ireland reports that neglect was perceived as a “somewhat nebulous concept”. Many of the children experienced multiple types of neglect and this included abandonment or desertion of children by their parents; significant neglect of children’s educational or medical needs and neglect of children’s emotional or social needs. Many of the children experienced significant developmental, behavioural, attachment, health and educational problems as a consequence of parental neglect. Today’s report says that the CMRs illustrate that neglect is one of the most difficult forms of maltreatment for child protection agencies to address. Report author Dr John Devaney said: “In some ways it is much easier to deal with a child who has a broken leg or a broken arm and you are able to say that that was because they were hit or pulled by a parent, or where a child has disclosed sexual abuse. “These are very concrete things where parents are able to understand what you are talking about and why you are concerned. 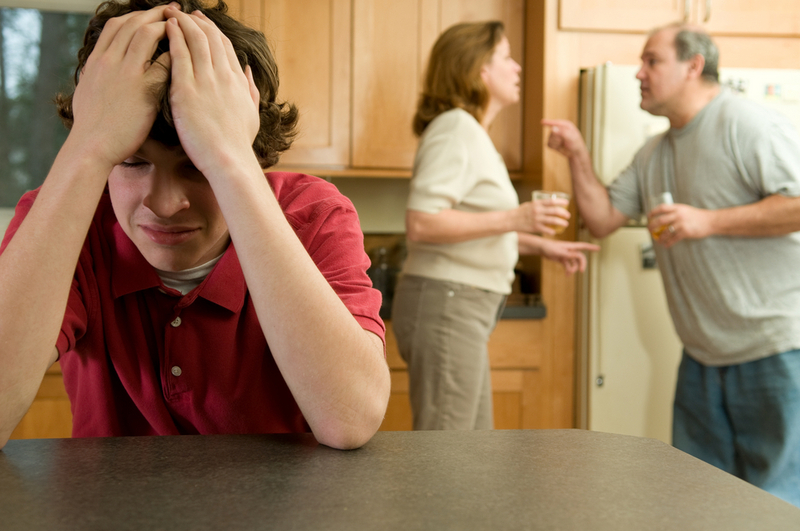 “When we are talking about neglect, we are talking about things such as poor parental mental health, parental substance misuse and domestic violence and quite often adults who are struggling with those sorts of difficulties may not recognise that they are having difficulties themselves let alone the impact that it is having on their children. Another broad theme was a lack of co-ordination between agencies involved in the care of at risk children. In one case a large number of professionals were involved with both parents and their children over a 10 year period, including social services; residential care; family centres; health visiting; Child and Adolescent Mental Health Services (CAMHS); therapeutic services; A&E; GP; Clinical Psychology; Paediatrics; PSNI and a number of voluntary organisations. However, there was a lack of co-ordination which undermined effective planning and intervention. In this case concerns about sexually harmful and other problematic behaviours emerged early in childhood, yet, despite repeated incidents throughout childhood and early adolescence, there was no sustained effort to deal with these issues. In some cases there was no evidence of a systematic, comprehensive assessment of need being conducted at any stage in the agencies’ involvement with the family, whereas in other cases a lack of multi-agency assessment meant that no one agency had the full picture of the family’s needs. In a case involving the suicide of a teenager, an assessment of need only took place after the case had been closed by social services, which the researchers said suggested “this was merely a paper exercise rather than a concerted effort to address identified concerns”. In the case of another child, despite a long parental history of mental health and alcohol related problems, psychiatric detention and involvement with mental health professionals, no comprehensive assessment of the needs of the mother or her family were ever conducted. Report co-author Dr Lisa Bunting from the NSPCC said: “A lack of sustained intervention with children and families was sometimes an issue. “Although problems in the family had, in many cases, been evident for a number of years, agencies were sometimes particularly poor at addressing the impact of chronic neglect on children, and intervening at an early stage. The overview report states there was also a tendency in some cases to refer young people to a different service, without adequately considering how they might be supported to engage rather than focusing solely on attendance. For example, there were examples of young people being removed from waiting lists for services after failing to keep three appointments, rather than seeing non-attendance as a risk factor warranting greater efforts to engage the young person. The report authors say ‘did not attend’ does not equate to ‘does not need’. The importance of early, more sustained and better co-ordinated intervention, not just for younger children but older children and adolescents is stressed in the report. In several of the CMRs a number of the parents themselves had suffered trauma both as children and as adults, such as experiencing sexual abuse as children, living with domestic violence and involvement with the criminal justice system, all resulting in “parental inaction, hopelessness, mental illness and on-going chaos”. Some of these adult needs were recognised and appropriate counselling offered, but in other cases professionals did not appear to appreciate or understand the impact of these parental issues on the parenting role. In several of the reviews “invisible children” are mentioned. Dr Devaney described this as one of the most depressing things to read about in the CMR reports. Reference is made to psychiatrists, GPs and health visitors who appeared overwhelmed by the chaotic circumstances of the families they were dealing with. They tended not to look at the whole picture and how this may affect the child’s safety, but focused more on the behaviours of parents and the problems in the family in isolation. These professionals were anxious and displayed a reluctance to act and challenge parents about their behaviour. In some cases the psychiatric assessment of the parent was the prominent issue, but often senior professionals failed to identify a child who was at immediate risk of significant harm and death. In a number of cases there was a failure by professionals such as social workers, adult mental health practitioners, health visitors or GPs to think beyond the immediate needs of the adult and to consider how mental health difficulties and/or problems with addiction might impact on parenting capacity and the risk posed to children. Several cases highlighted the fact that professionals were often kept from seeing and talking to the child or siblings. For example, in one case, despite a long history of mental health and alcohol-related problems, psychiatric hospitalisation and involvement with mental health professionals, no assessment of the mother or her family was ever completed. She was released from hospital after the birth of her first child with no concerns and no referral was ever made in relation to her situation. Despite frequent contact with mental health professionals no-one was aware that her first child had not resided with her from a young age. Following the death of her second child, the incident which triggered the CMR process, an interview with the eldest child revealed a history of physical abuse and neglect. The CMR overview report authors say that had the needs of the older child been appropriately considered and assessed it is likely that the risk posed to the second children during the mother’s pregnancy would have been identified and addressed. Not speaking to the child and allowing the parents’ voice to dominate were common concerns noted in the review reports. The CMR reports show young people who were hardly consulted or spoken with; young people who were not seen because they were regularly out of the home or were kept out of sight; non-attendance at school; young people who ran away or went missing and children who chose not to or were unable to speak because of disability, trauma or fear. On a wider level some reviews highlighted the lack of collaboration between different parts of the child protection system both within and between agencies. A common criticism related to the lack of joint working between children’s health and social services and adult services dealing with substance use or mental health, despite being part of the same organisation. In particular GPs tended to supply very limited information, and sometimes this was difficult for the CMR team to obtain. The overview report states that CMRs also provide evidence that children sometimes “fall through the cracks” when child protection workers have unmanageable workloads, and limited support and supervision. One CMR report illustrated the need for extra support for inexperienced workers. In this case important information was not carried over from one notification of concern to the next, leading to information being lost over time. The overview report authors say that key issues should be monitored and followed up, including missed appointments. A number of CMR reports commented on the wider organisational context within which staff worked. One report commented on the 23% increase in referrals to social services within the HSC Trust during the preceding four years without a commensurate increase in resources. Staff vacancies had also resulted in some HSC Trusts either raising the threshold for accepting referrals or instigating a waiting list of referrals deemed ‘non-urgent’. The CMR reports also provide evidence of failure in communication between professionals. In another CMR report dealing with the death by suicide of a young person, the author identified that professionals had been alerted by older siblings and other relatives to various incidents of physical abuse of the child and their siblings over a four year period. Professionals had dealt with each incident in isolation, not appreciating the cumulative importance of the multiple incidents. General difficulties with recording and record keeping, such as records being incomplete, information being recorded in various places and not collated, records being poorly structured and, in some cases, information not being recorded at all, are noted in a number of the CMRs examined. In a case involving the death of a baby, inadequacies were noted in both the social worker’s and the health visitor’s recording. In relation to the social worker’s records there were gaps in the information and, at times, the records were either not fully completed (for example, there was no record of the action taken following the family’s second referral to Social Services) or properly signed. Another report, involving a young person who had sexually abused one of their siblings, notes that records were often difficult to decipher and that information was missing from them. The panel found no record that two allegations made against this young person had been investigated; one of these involved inappropriate sexual activity and one involved a physical assault on a sibling. 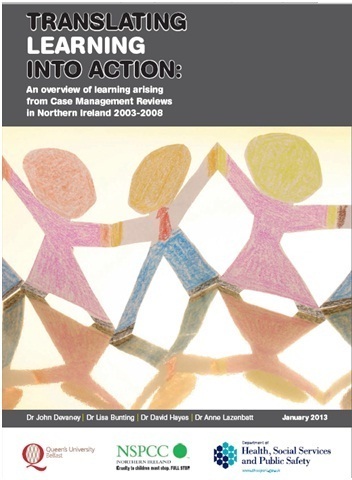 In 2008, standardised forms for the recording of contacts with children, families and other professionals across both nursing and social work services were introduced. The reviewers found evidence of policies and procedures being followed in the majority of instances. However, there were also frequent incidents of established policies and procedures not being followed. This includes several cases of poor communication between mental health services and children’s services, allegations made by children themselves were not investigated appropriately by social services and concerns about suspected abuse were not acted upon. Delays in activating child protection procedures or instigating joint protocol arrangements between the police and social services were noted in a number of cases. In one case a referral concerning domestic violence which should have been acted upon immediately did not result in the instigation of child protection processes until a month later. There were delays in joint working with police after another child’s death to ensure that other children in the family were protected. Clear signs of sexual abuse were present in a case but did not activate child protection procedures as they should have. Some cases were inappropriately taken forward as a single agency investigation by the police when social services should have been involved, and vice versa. The CMRs reviewed as part of this study frequently pointed to a lack of in-depth assessment and analysis of the information gathered by professionals. The researchers concluded their overview report with some key learning points from the 24 CMRs. These include that CMRs cannot and should not be seen as providing the whole or only view and also providing families with early, sustained and co-ordinated support reduces the likelihood of children suffering unnecessarily. They said there was a need to ensure that reviews look at the child protection system within a number of levels, including individual practice, family and inter-agency. The report also identified the need to respond earlier and more robustly to the needs of children and families before problems become entrenched in adolescence.